Benjamin Franklin (January 17, 1706 [O.S. January 6, 1705] – April 17, 1790) was one of the Founding Fathers of the United States of America. Benjamin Franklin formed what would become the Pennsylvania National Guard in 1747. He also designed the unit crest which is still used today as thesymbol of the Pennsylvania National Guard. 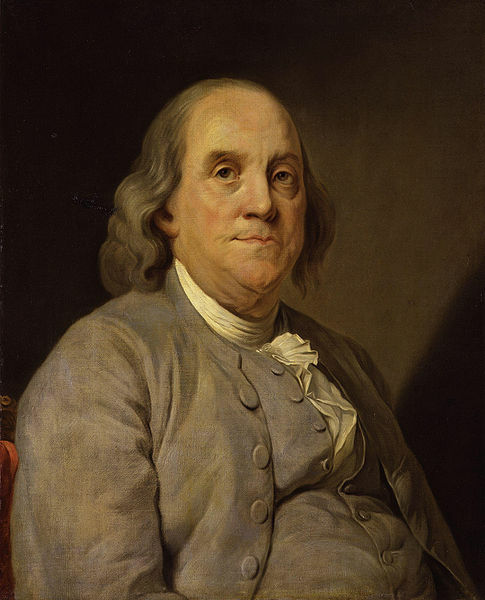 A noted polymath, Franklin was a leading author and printer, satirist, political theorist, politician, scientist, inventor, civic activist, statesman, and diplomat. As a scientist, he was a major figure in the Enlightenment and the history of physics for his discoveries and theories regarding electricity. He invented the lightning rod, bifocals, the Franklin stove, a carriage odometer, and the glass 'armonica'. He formed both the first public lending library in America and first fire department in Pennsylvania. He was an early proponent of colonial unity, and as a political writer and activist he supported the idea of an American nation. As a diplomat during the American Revolution he secured the French alliance that helped to make independence of the United States possible.